This is the image floating about the web from Redbook. 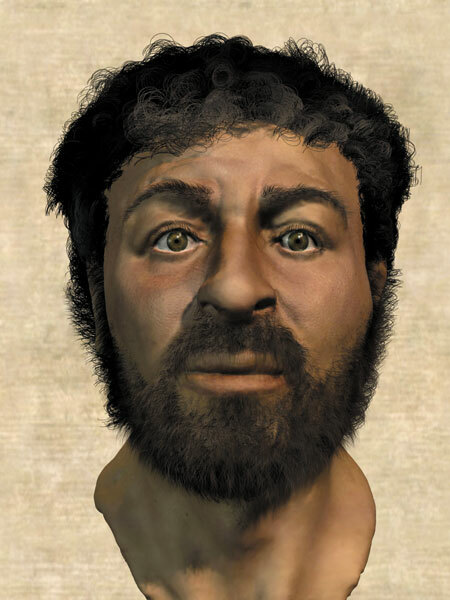 It never said this was the forensic reconstructed image of Jesus but since it's featured at the top one assumes this is what forensic reconstruction would re-create. As you can see he looks like a white guy with a slight tan or a mulatto person. It is too bad people will not read the bible in detail and consider the repopulation of Israel by other racial groups after their multiple expulsions.